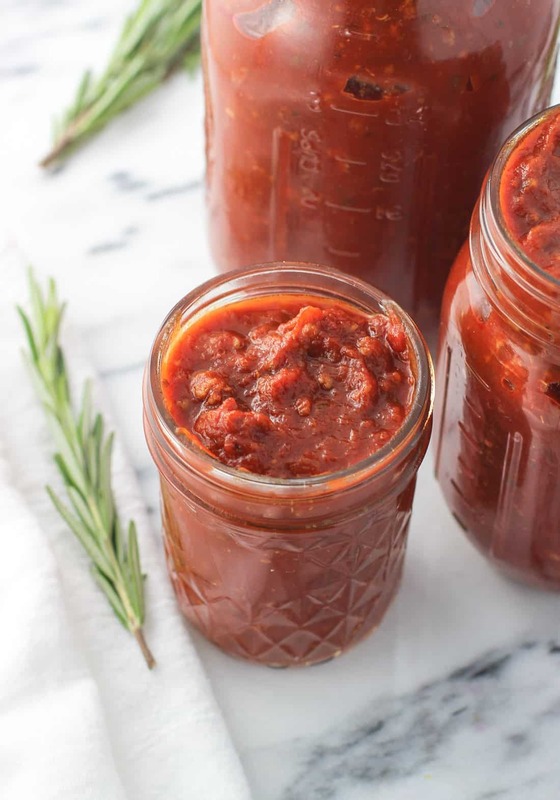 Hot sausage and rosemary tomato sauce is a thick and slightly spicy homemade tomato sauce with a ton of flavor coming from a few special steps along the way. 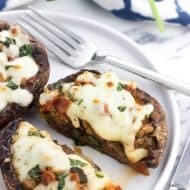 This recipe yields enough sauce to enjoy now and freeze batches for later! One of my very favorite ways to feel efficient in the kitchen is to cook up a big batch of something and put portions right in the freezer. 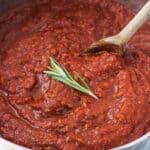 Homemade tomato sauce works perfectly for this purpose, and this hot sausage and rosemary tomato sauce is no different! My go-to sauce recipe (here on the blog) is made simply and features meatballs and/or sausage simmered in the pot for a hearty meal made with classic Italian flavors. Sometimes though I like to switch it up and experiment with herbs and spices and mess with the technique a bit to keep things interesting, which is exactly what resulted in this hot sausage and rosemary tomato sauce. 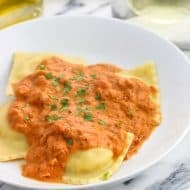 It’s a richly flavored, chunky, and satisfying homemade tomato sauce recipe that becomes the shining star of pasta dishes or even in place of pizza sauce! 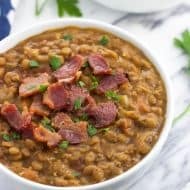 Instead of adding whole meatballs and/or sausage to the pot of sauce, a full package of sausage is browned, crumbled, and worked into the sauce for a thick consistency with meat in every bite. 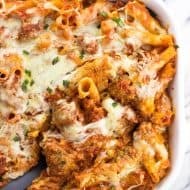 I used hot Italian sausage as I love the bit of spice it brings, plus using hot sausage cuts down on the steps of adding additional spices and flavorings later on. Of course you can always use sweet (mild) Italian sausage if you’re not into spicy foods. This tomato sauce coats pasta beautifully and isn’t watery at all. Last week I used some as pizza sauce and it took standard pizza to the next level! Next up I already have my eye on a few of my freezer containers for upcoming pasta bakes. 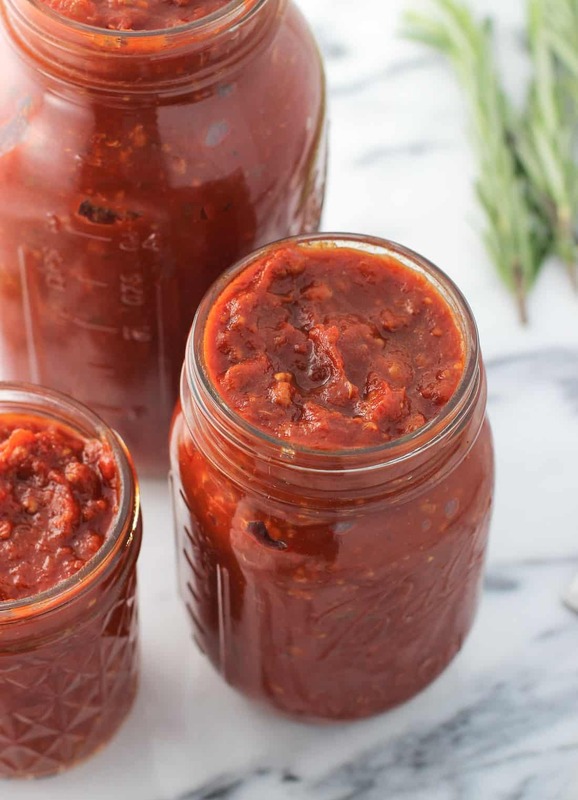 Here are a few tips and tricks that I used in making this hot sausage and rosemary tomato sauce! I added the tomato paste to the pan with the onion/garlic mixture and let it heat for a few minutes before adding the rest of the sauce ingredients, stirring it with a wooden spoon to separate it and mix it in with the onion and garlic. This couple of minutes allows the great tomato flavor of the paste to deepen even more. 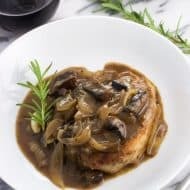 Swirling red wine around the hot pan helps pick up any of the browned pieces of onion or garlic that are stuck on the bottom of the pan and makes sure they’re incorporated into the sauce. 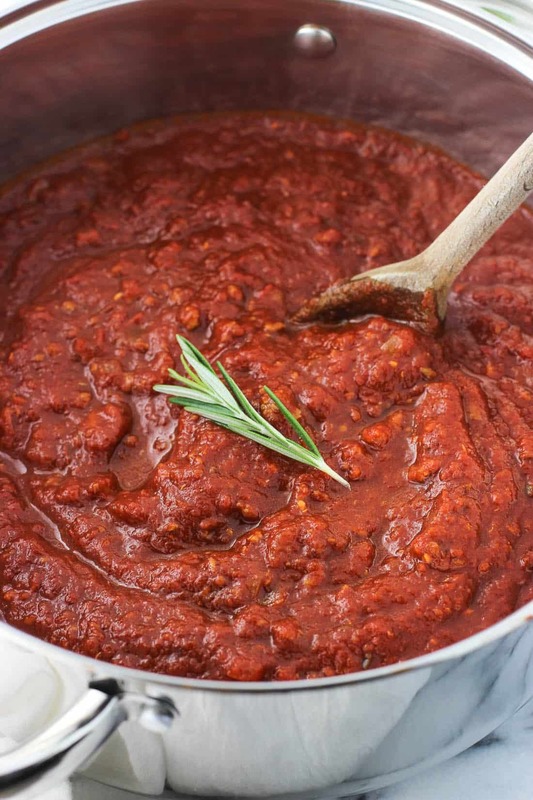 This fast steps helps ensure you won’t miss out on any bits of flavor in the sauce! The sauce doesn’t taste strongly of wine at all if you’re concerned about that, but it adds a delicious little hint that I really enjoyed. A pinch of ground allspice adds an extra bit of depth to the sauce’s flavor, but you can omit if you’d prefer. Simmer, simmer, simmer! I suggest letting the sauce simmer for at least a half hour before serving, but if you’ve got the time, you can keep it going for a few hours. 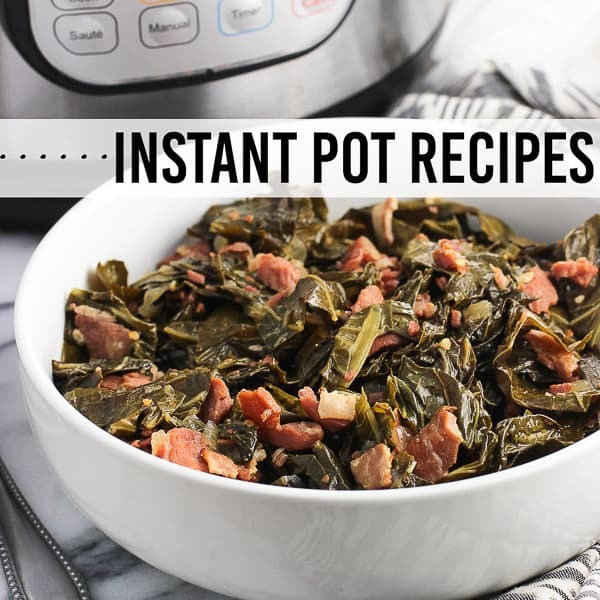 For one, the aroma in your house will be phenomenal, and the flavors will have the chance to meld even more. Just be sure to stir it periodically to ensure the sauce on the bottom of the pot doesn’t burn. Set a large saucepan over medium heat. Remove sausages from their casing and add meat to the saucepan. 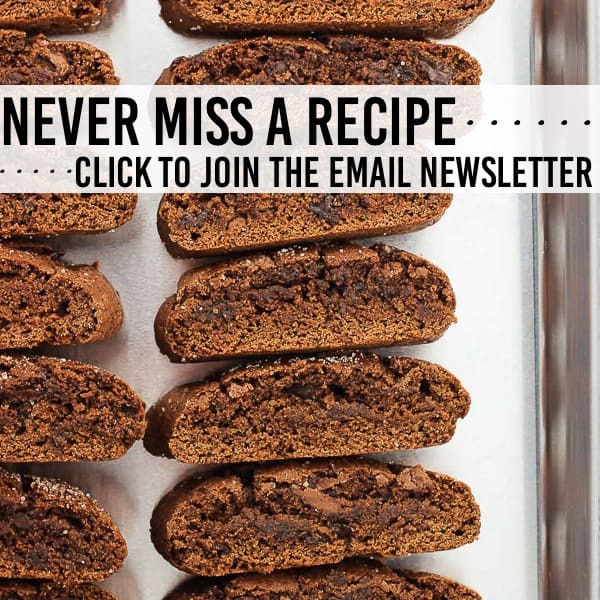 Break it up into small pieces using a wooden spoon or spatula. Cook until the sausage is in small crumbles and fully browned. As it cooks, it will be easier to break up the pieces into smaller bits. Once fully cooked, remove sausage crumbles to a plate lined with a paper towel to absorb the fat. Set aside. Discard fat from the saucepan, and put the pan back on the stove. Add olive oil and heat over medium heat. Add onion to saucepan and cook until soft and just beginning to brown. Add garlic and continue to cook for another few minutes. Add tomato paste to the pan with the onion and garlic and stir to break up the paste. Let cook for a few minutes, stirring frequently to prevent any parts from becoming too brown. Pour wine into the pan and scrape up the pieces of food stuck to the bottom of the pan and continue stirring until everything is combined. Reduce heat to low and add sausage, crushed tomatoes, allspice, and rosemary and stir everything together. Let sauce simmer for at least a half hour, stirring up from the bottom every now and then so the sauce on the bottom of the pan does not burn. Serve over pasta or use in place of tomato sauce in your favorite recipes. Cook time includes a half hour for the sauce to simmer. The sauce can certainly simmer for longer if you like! This recipe will work with either pork or turkey sausage. 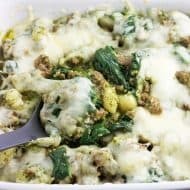 I found hot Italian turkey sausage at the grocery store and have used it in this recipe with great results. This recipe yields approximately 60 oz of sauce in total. I usually have jars of homemade tomato sauce stashed in the freezer for quick meals. I’m gonna have to try the addition of hot Italian sausage to the sauce next time I make a batch. 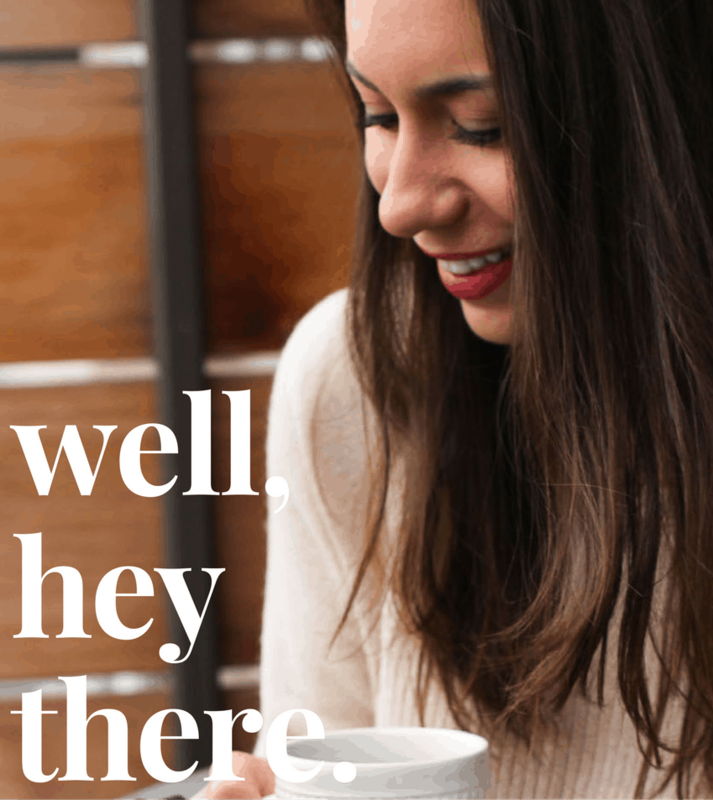 I try to always have some around, too. So easy! I loved this twist on it! How can you freeze jars, don’t they break? Now this looks like my kind kind of sauce! Rosemary is my favorite herb to cook with, so I bet the flavor is amazing. And I LOVE how thick this is! Ooh I bet you would love it, Gayle! Thanks! 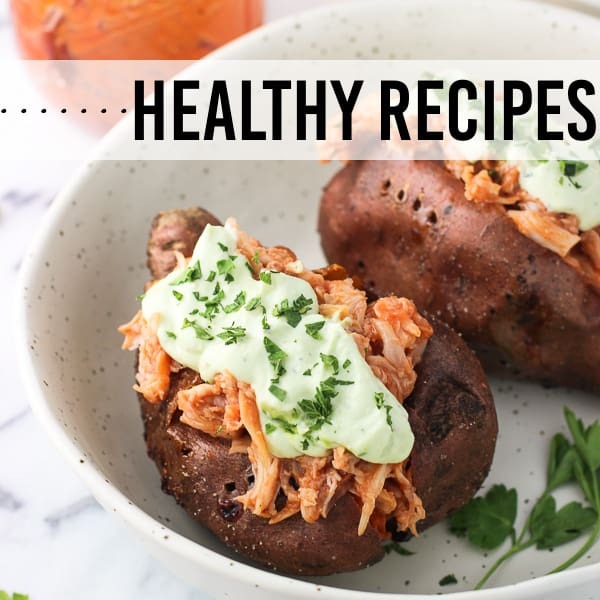 I love the idea of a rosemary-focused sauce! And the color of this is sooo beautiful!